By Tricia Lowther, originally published in the Guardian. The belief that humans have evolved into two distinct types of people with very different natures – competitive, risk-taking males and gentle, empathic females, is widespread and powerful, but is it true? 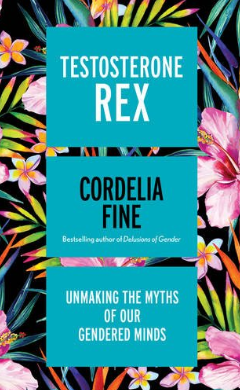 In her latest popular neuroscience book, Professor Cordelia Fine takes us through the science that led to the idea of ‘Testosterone Rex’. Let Toys Be Toys recently agreed to partner with UK SAYS NO MORE – a national campaign to raise awareness to end domestic violence and sexual assault. The NO MORE campaign started in the United States and launched in the UK earlier this year, overseen by London-based charity Hestia. What’s wrong with pink and blue? 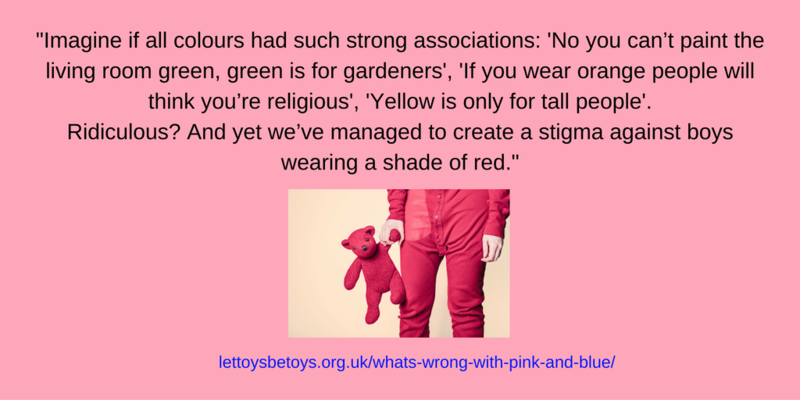 “What’s wrong with pink and blue?” Let Toys Be Toys campaigners are often asked this question. Tricia Lowther looks at some of the issues around colour coding. Yes they are, and they are also used as cultural signifiers; codes that mean ‘boy’ or ‘girl’, and are used to segregate children (and sometimes adults) into two distinct groups to be targeted in very different ways. 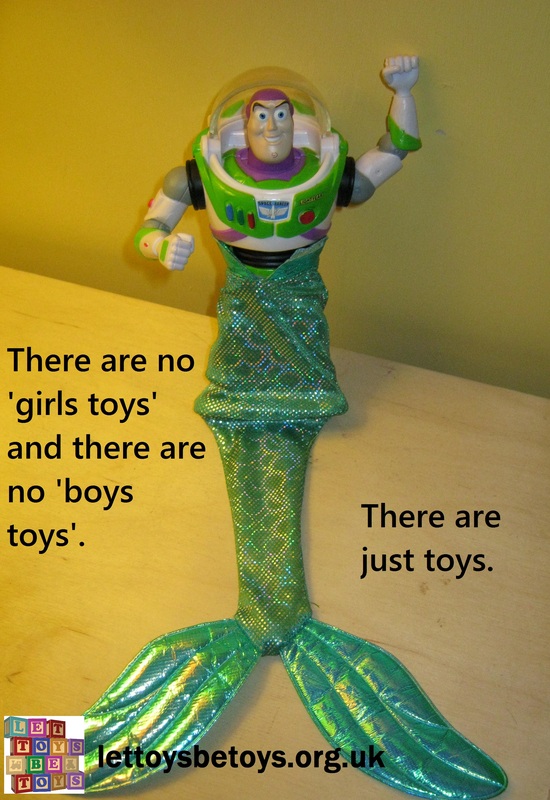 Despite retailers moving away from explicit ‘girls’ and ‘boys’ signs in shops, while we still have pink aisles and blue aisles we still have toys segregated by gender.